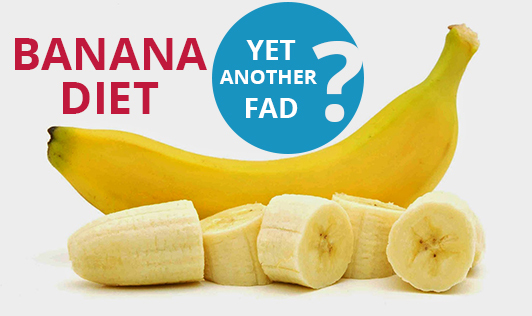 Banana Diet - yet another fad? My colleague told me about this latest food craze to hit Japan - Banana Diet. So I googled and read a few links before deciding to write this short note. Yes, it's another fad diet making headlines. I'm not against this fruit per se. It's a very nutritious food item with potassium and magnesium, which help in lowering blood pressure. Banana is a good choice as part of a healthy diet, every day. But will it help in a healthy weight loss? NO. Is it an ideal and long-term solution to weight loss? Definitely not. Will it help in short-term weight loss? Perhaps. The choice is yours.